Can Artificial Grass Be Laid on a Slope? Can I Barbecue on My Artificial Grass? There are countless benefits to artificial grass installation over the all-natural alternative, that have made faking it the number one choice when it comes to lawns in recent years. Many people assume that artificial grass installation is tricky to say least. However, we are here to put this misconception to bed. Whether you choose to have our team install your new lawn for you or choose to do it yourself-it is important, in both cases, to know exactly which grass is right for you. The first thing that you will need to do is remove the existing grass from your garden so that it may be replaced by your new, easy-to-maintain lawn. This job can be completed, usually, with the aid of a spade or turf cutter. It is important to dig deep enough that all grass and vegetation is removed entirely. 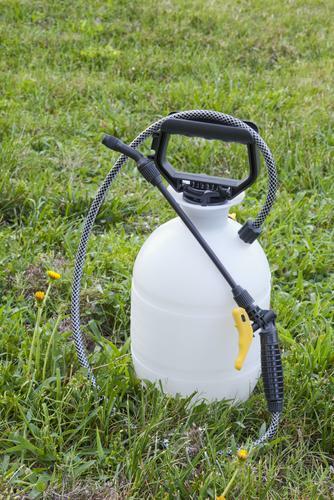 While adding a membrane below your new artificial grass during installation can help to stop weeds from poking through your nice, neat new garden, you can go one step further and add a weed-killer to the soil during the initial preparation process. Just as an additional layer of security for the longevity of your new lawn! Before laying your artificial turf, it is important to ensure that the ground on which you will be laying it on is smooth and level, without any lumps, bumps or stones that will make your new lawn look uneven in the future. This will not only allow your artificial grass to settle easier, it will help with drainage and will look much more aesthetically pleasing, too. Once you have levelled your soil, apply a thin layer of sand to consolidate. Drainage is important if you do not wish for your garden to become a muddy havoc whenever the heavens decide to open up - and we all know they will! You can now add a Geotextile fabric layer on top of the stop to stop any determined weeds from poking through the soil and sand or a shock absorbing layer to help improve the feel of your new lawn underfoot. After everything has been smoothened out, the only thing that is left to do is the installation of your synthetic turf. Full instructions and an installation video can be found here but it is much easier than you will have first thought! Just like most other things in life, it is not the process that is difficult; rather, it is the preparation for it that requires vigilance. 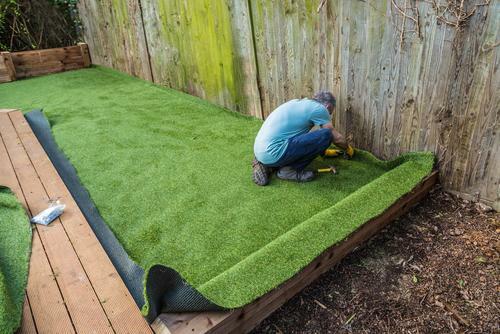 The process involved in the preparation for artificial grass installation might seem rudimentary, but get it right and your new garden will look every bit as good as you expect it to. For more information, please contact our team today on 01474 364320.